What is wheat grass and why is it getting so much buzz? Some tout the food as a cure-all for any ailment we face. It’s sold in powders, juices, malts, freeze-dried and fresh with each package extolling the benefits of making this part of a daily routine. What is wheatgrass really worth as a nutrient though? Well, the truth is a little less glamorous that sellers make it sound. The truth is that wheatgrass is just a food like any other. Now, as far as food goes, wheatgrass has many superior qualities and actually does provide us with a fantastic level of nutrition per calorie. Read below to learn just what wheatgrass is, how to use it, and even how to grow it yourself. Wheatgrass is made from the first seed leaves of the wheat plant. These embryonic leaves have incredibly valuable nutrients as they contain all the energy and nutrients necessary to produce a fully grown wheat plant. Interestingly, when answering the question of “what is wheatgrass,” the one thing it isn’t is gluten! That’s right! Believe it or not, wheatgrass is definitely gluten-free. This is because wheatgrass is harvested before the wheat seeds start to form. Since the seeds are where the gluten is found, those who have celiac or are avoiding gluten can safely enjoy the health benefits of wheatgrass without the worry of causing health problems from gluten. Wheatgrass is consumed in juice form. Once you cut the blades of grass, they are put into a juicer, sometimes alone and sometimes with other fruits and veggies. 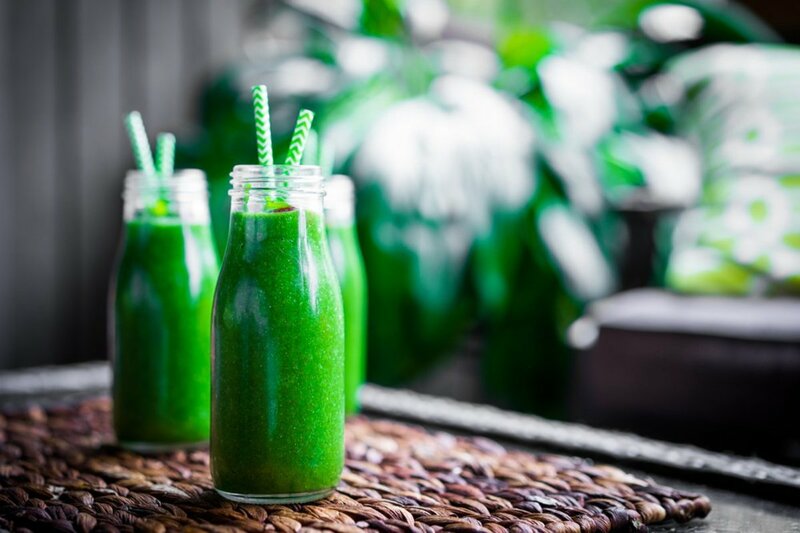 The taste of wheatgrass is very strong, so some people prefer to add it to their blended smoothies. Don’t worry if you do not have a juicer. You can also juice wheatgrass in a blender with a bit of water. Simply chop the blades of wheatgrass so they don’t get tangled in the bottom of the blender, add half a cup of water and pulse it on high until the liquid forms a nice green hue. Then, just pour the liquid through a filter to remove the pulp and presto! Fresh, homemade wheatgrass juice. What does wheatgrass taste like? Most people would say that fresh wheatgrass juice tastes neutral. It does not taste as good as orange juice but at the same time, it is not unpleasant. But, if you prepare it the right way, it could taste good. If you focus on all of the wheatgrass benefits that may help you focus less on the taste. The fresher your wheatgrass is, the better. So, most people just grow it themselves and harvest it as they use it. What is wheatgrass cultivation like? Pure fun! What is the best way to plant wheatgrass? Here’s how. Soak your seeds for 24 hours in cool, clean water. For best results, you should change the water out every 8 hours or so. Within 24 to 30 hours, you should notice that they are starting to sprout. Fill your tray with your soil or another growing medium. You only need about an inch thickness of soil. Place your germinated seeds evenly across the top of the growing medium. Make sure your tray is in a spot where it’s only getting indirect sunlight. Direct sunlight could hurt your seedlings. Also, make sure the location is well ventilated to prevent mold in your growing medium. Water your seeds twice a day with a spray bottle set to mist. You can harvest your wheatgrass when it grows to about 6 or 7 inches tall. Just use a pair of scissors to cut the grass right above seed level. If you snip them just right, you should be able to grow one or two more crops from the same seeds. For best results, you should harvest your wheatgrass right before you juice it, as nutrients tend to degrade once you pick a plant. After all, what is wheatgrass if not a source of the freshest green juice in the world? 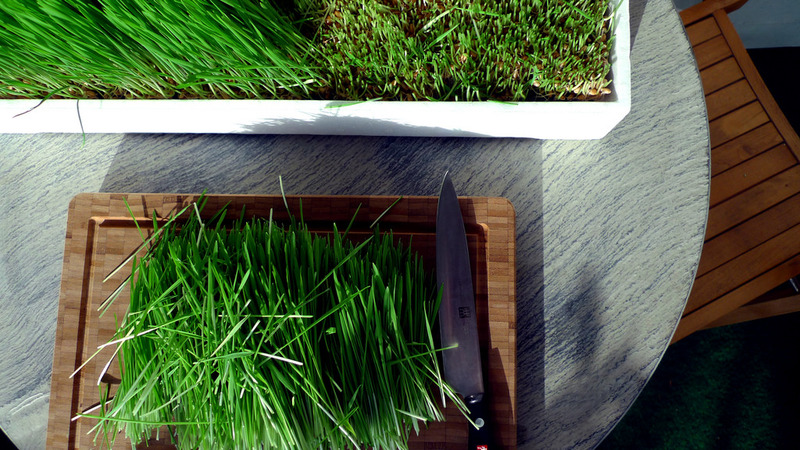 The easiest way to store wheatgrass is just to let it grow and snip it as you use it. Sometimes this option isn’t practical though. In this case, you can cut your wheatgrass and store it in an airtight container in the refrigerator. You can also store your wheatgrass in baggies, but some people prefer not to use storage containers made of plastic because the plastics can leach into your food. You can store freshly snipped wheatgrass in the refrigerator for up to seven days, although it loses some of its nutrients as the days pass. You can also store wheatgrass juice, but it should never be kept in the refrigerator because it will spoil quickly–within hours. Instead, store excess wheatgrass in the freezer. You can pour it into ice cube trays to make easy serving sizes. When thawing it out for use, thaw it quickly instead of on the counter or in the refrigerator, because it will spoil within just an hour or so of being thawed. What Is Wheatgrass Juice Nutritional Content? What is wheatgrass juice worth to the body nutritionally? This is up to debate, but it’s easy to measure the nutritional value of the plant. Wheatgrass juice contains Vitamins A, C, E, K, and B6. It also has a full range of minerals such as iron, copper, selenium, zinc, and manganese and plenty of potassium. Some people claim that wheatgrass contains many times the nutritional value of other vegetables, but this simply isn’t true. It’s actually equivalent to any other dark leafy greens. What are the proven health benefits of Wheatgrass? Helps fight cancer cells and other diseases like ulcerative colitis. For some people, a shot of wheatgrass gives them a sense of well-being. That being said, it’s still very worth your time and effort to grow and consume wheatgrass since these nutrients are significant in our diets. During the winter, growing wheatgrass sprouts ensures that you always have a fresh source of dark leafy green vegetable nutrients. Also, wheatgrass has chlorophyll, which is very helpful for aiding. Hey Buddy!, I found this information for you: "What Is Wheatgrass + Tips on Growing Wheat". Here is the website link: https://backtofarm.com/what-is-wheatgrass/. Thank you.